Exactly—people didn’t pay their bills. It was a tough problem—and totally unrelated to complex technology. However, technology could help. I told the engineer to map the intensity of this problem: where were the biggest pockets of people not paying bills? Then his company could attack the problem deliberately, systematically, and geographically. The company had never done this. They had never used location to solve all their problems. They thought only of complex problems, not tough ones. 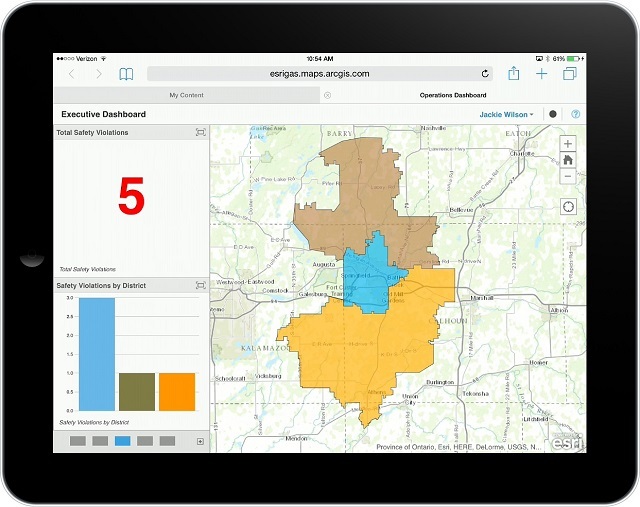 In 2009, Esri ran a survey called Is Your GIS Smart Grid Ready? One question asked, After the completion of construction/maintenance, how long does it usually take to get your new construction/maintenance information into the GIS? Most responders said it takes 30 to 90 days. I hate to tell you, some utilities reported a year. If we can put a man on the moon, why can’t we move data from the field into the GIS in less than a month? As an industry, we haven’t recognized the full value of timely data access. That’s bad news. The good news is, technology exists to solve that problem. 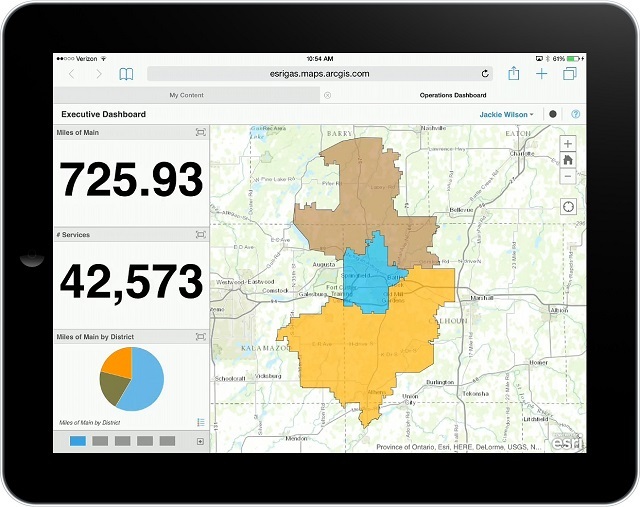 Esri’s location platform can do this. The location platform Esri provides gives employees and contractors anytime access to authoritative information (e.g., assets, conditions, paying and nonpaying customers, oil spills, truck locations, measurements, even Tweets). They can access this from any device, anywhere. It also gives employees and contractors access to create and share information. 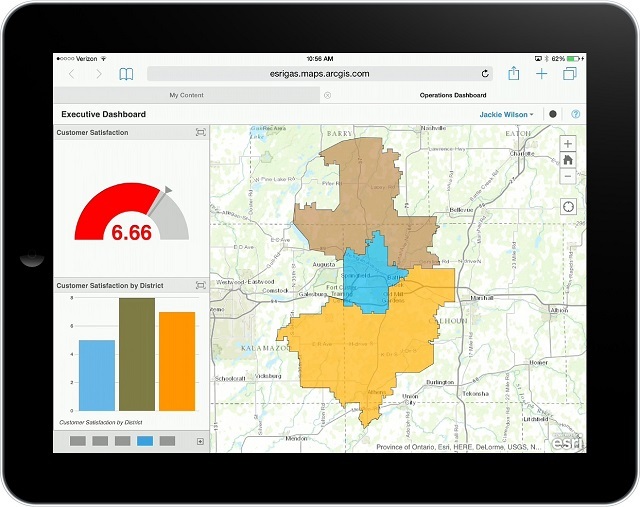 You can even give this ability to your customers, such as through public outage maps and other applications. Just getting information to everyone is such a simple solution, but it’s been tough and elusive for many companies. Some utilities have figured this out. See this National Grid article in T&D World magazine and this Fort Hill Natural Gas Authority video. The electric utility business is a blend of very high tech processes. Just think of all the ones you can name without trying: Advanced Metering Infrastructure (AMI), phasor measurement units (PMU), substation automation systems, SCADA, GIS—and even ancient rituals. Some of those rituals are okay, but we need to rethink many of them. That’s the tough part. By applying the concept of a location platform, utilities can kill some of those old rituals and simplify what they do. That improves execution. And better execution means taking less time to do maintenance. It can translate into measurable gains, like getting people their services faster, or immeasurably valuable gains, like meeting regulations more easily and avoiding confusion in the field (and thus reducing accidents and delays). These aren’t complex problems. They are just tough ones. Luckily, technology can help. It’s more important today than ever to improve execution. Not just operational execution—but execution in every company facet. The pressures keep mounting: You’re seeing tougher access to capital, more competition from solar panels, the constant reality of assets wearing out, and people retiring faster than ever. There’s a bright future, though. It starts with technology. We can use the location platform—in addition to staples like algorithms and advanced analytics—to make things work better. We make stronger decisions—about how to collect more money from customers, reducing theft, improving customer experience, figuring out where our best infrastructure investments lay—and endless more. Everything gets simplified. Execution simplifies. All thanks to a powerful location platform that solves your tough problems. What is the biggest problem your company faces? Chances are a location platform can help. Learn more at esri.com/electric. To see how professionals are solving today’s biggest utility challenges, register for the 2015 Esri Electric and Gas User’s Conference in Rhode Island.